What is the status of Print Advertising in 2018? Let’s look at this from a more macro view. The fact that print advertising continues to be remarkably effective is not the same as claiming other forms of marketing communications are not. Internet marketing for global players has become the first choice in many cases by providing more value in many applications. Equally, if not more significantly, digital marketing has provided/created many opportunities that aren’t even feasible in a print-only world. But many marketers now are also pointing to digital overdoes and fatigue. Unmanageable volume and the abundance of unrelated content have mitigated some of the value of e-mailing, texting, and digital ads for many consumers. Print has always had an advantage over other media when it came to intrusiveness. It appears this advantage had some relevancy versus digital media as well. Don’t those on-line pop-up ads annoy you? Local consumers continue to welcome advertising in the print environment and are inclined to accept it while avoiding it in other media. The rise of native advertising and content marketing is, in part, a result of this reality. This is good news for print media and how it can play a part in your marketing campaigns. Local consumers still scan print publications for coupons, or reference local trusted publications to seek out services or products. By creating interactive print ad campaigns for advertisers a local publisher can do wonders for community type branding. 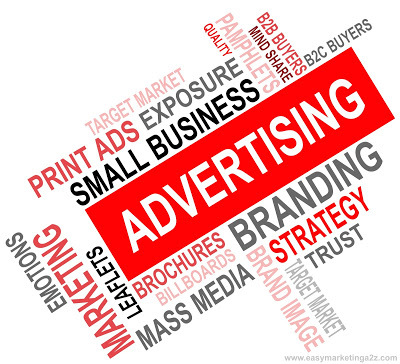 Print advertising remains a key component in your recipe box for successful local branding and marketing. Is Print Media Really Dead? Previous Post:Where does Coffee News Publish in the USA?